REACH is a community-based mental health service set up to work closely with schools, community agencies and family doctors to help students with emotional, behavioural and/or developmental disorders. REACH aims to improve response time and offer front-line support to youths in the community. As mental health professionals, the REACH multi-disciplinary team, comprising medical doctors, clinical psychologists, medical social workers, occupational therapists, nurses and administrators, support school counselors by providing consultation and assessment services to students within the schools. Piloted in 2007 in the North, the REACH team comprises North, South, East and West teams to service students in schools under Ministry Of Education (MOE) registration from Primary 1 to Junior College. Each REACH team is designated to each zone under the MOE school allocation of North, South, East and West zones respectively. When a student is identified to possibly have a mental health condition, a referral to REACH is done. The Full Time School Counsellor from schools can call the Helpline to triage the case and receive feedback to best help the student and family. 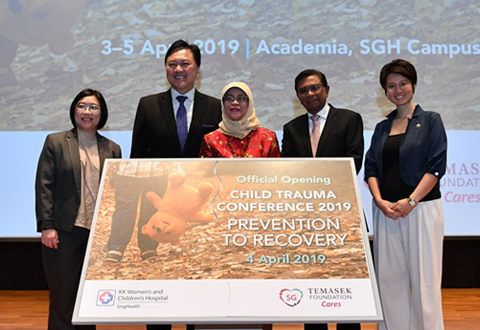 Similarly, social workers and psychologists from Voluntary Welfare Organisations and SPED schools who are currently REACH partners working with children and youth, may call the REACH Helpline. Where needed, an on-site clinical interview is conducted. Information from at least one parent or caregiver, as well as gathering of input from teachers in the school, is vital in understanding the needs and problems the student is facing. Following that, a clinical formulation of the case is shared with the school, and a plan with strategies is communicated to caregivers and FTSC. In the event the student or family needs emotional and behavioral support, the REACH team collaborates with school counselors to provide suitable school-based interventions. Through the years,child mental health services evolved to being decentralized and being more accessible. As of 1st April 2012, REACH East has successfully transited to KK Women and Children’s Hospital.The team will be part of the Department of Psychological Medicine, in Child and Adolescent Mental Wellness Services (CAMWS). Previously part of the Child Guidance Clinic of the Institute of Mental Health, REACH East will now be able to refer students with mental health conditions studying in the eastern cluster of schools to CAMWS for tertiary care. Meanwhile, REACH North and South are part of the Child Guidance Clinic, Institute of Mental Health and REACH West part of the Psychological Medicine Department of National University Hospital System. To date, REACH has extended its service to provide mental health care and training to MOE schools, VWO’S, SPED schools and even to some General Practitioners. REACH hopes that the effect would be a broad scope of care given to students within the schools and greater awareness of childhood mental health disorders as the partnership of REACH extends to more community resources.